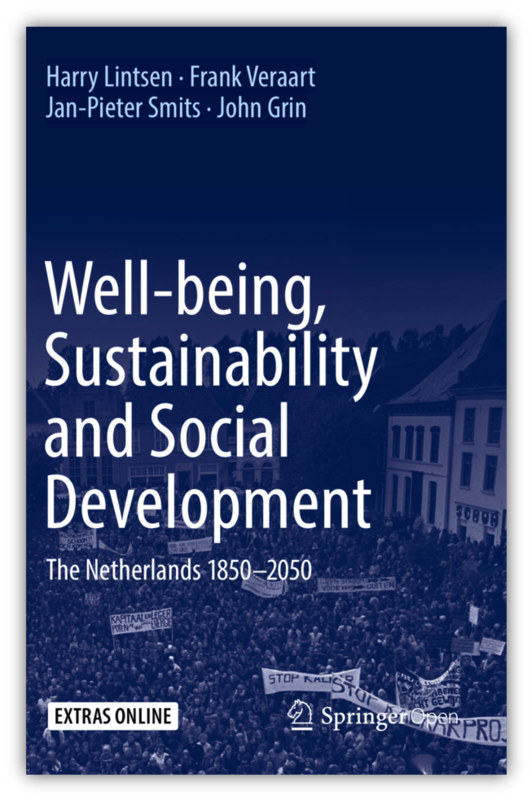 It features The Netherlands as a case study, which is an especially interesting example; although it was one of the world’s richest countries around 1850, extreme poverty and inequality were significant problems of well-being at the time. Monitors of 1850, 1910, 1970 and 2015 depict the changes in three dimensions of well-being: the quality of life ‘here and now’, ‘later’ and ‘elsewhere’. The analysis of two centuries shows the solutions to the extreme poverty problem and the appearance of new sustainability problems, especially in domestic and foreign ecological systems. The study also reveals the importance of natural capital: soil, air, water and subsoil resources, showing their relation with the social structure of the ‘here and now´. Treatment and trade of natural resources also impacted on the quality of life ‘later’ and ‘elsewhere.’ Further, the book illustrates the role of natural capital by dividing the capital into three types of raw materials and concomitant material flows: bio-raw materials, mineral and fossil subsoil resources. Additionally, the analysis of the institutional context identifies the key roles of social groups in well-being development. The book ends with an assessment of the solutions and barriers offered by the historical anchoring of the well-being and sustainability issues. This unique analysis of well-being and sustainability and its institutional analysis appeals to historians, statisticians and policy makers.